VIDEO>transcends @ The CUNY QCC Art Gallery Online. Now playing on the CUNY QCC Art Gallery web site. 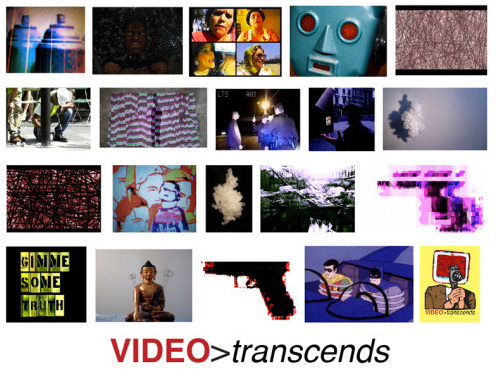 VIDEO>transcends is an ongoing examination through the interrelationships of video art, performance, short film, documentary, experimental sound, & process based duration art. The purpose of this exhibition is to survey, expose, and raise the awareness of motion and sound related art through the potentials of new media. The works exhibited have been created and manipulated using digital technology and editing software as a means of expression and communication. VIDEO>transcends was first screened April 1st-30th 2013 via the Streaming Festival’s Special Program Archive.